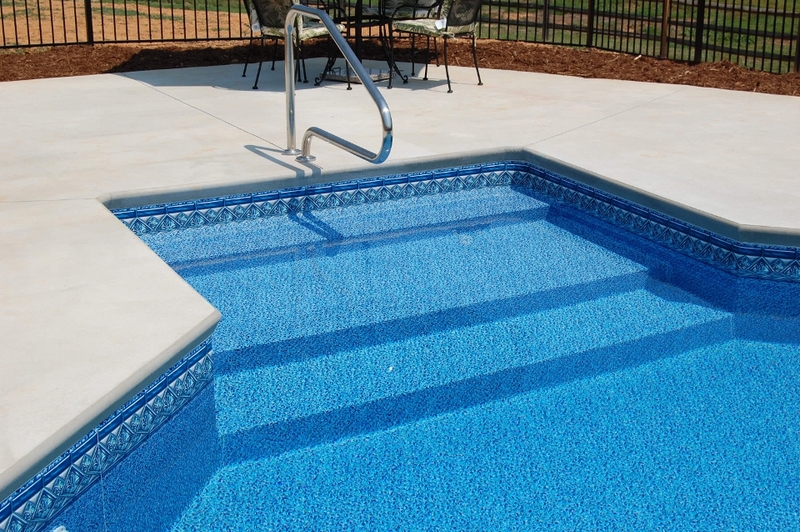 Special Features - Royal Palm Pools, Inc.
A beautiful option that offers simplicity and sleek design. 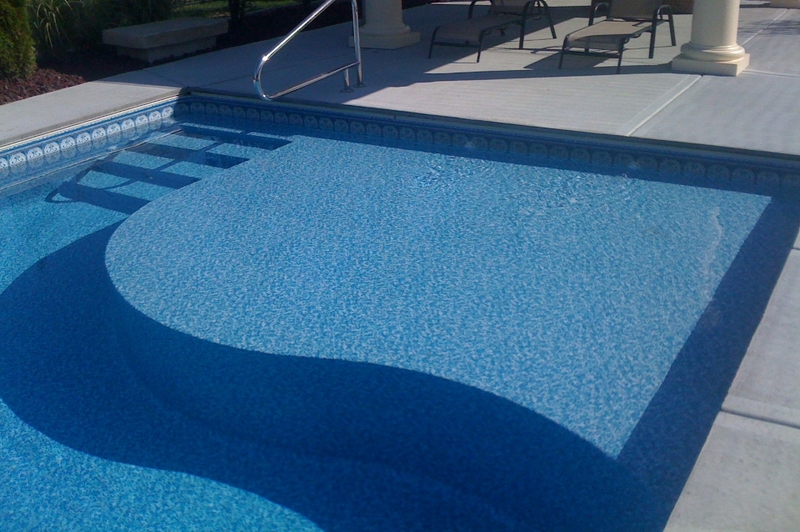 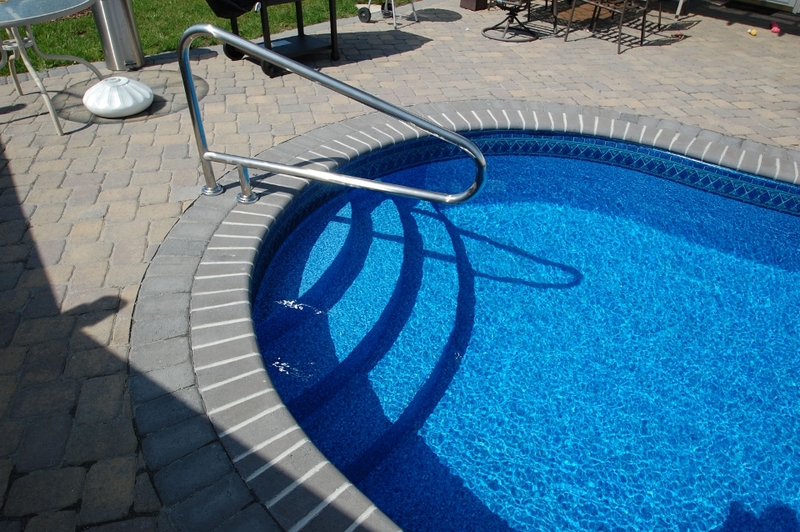 No matter the size, this vinyl-covered steel step brings sophisticated style to whatever pool design you choose. 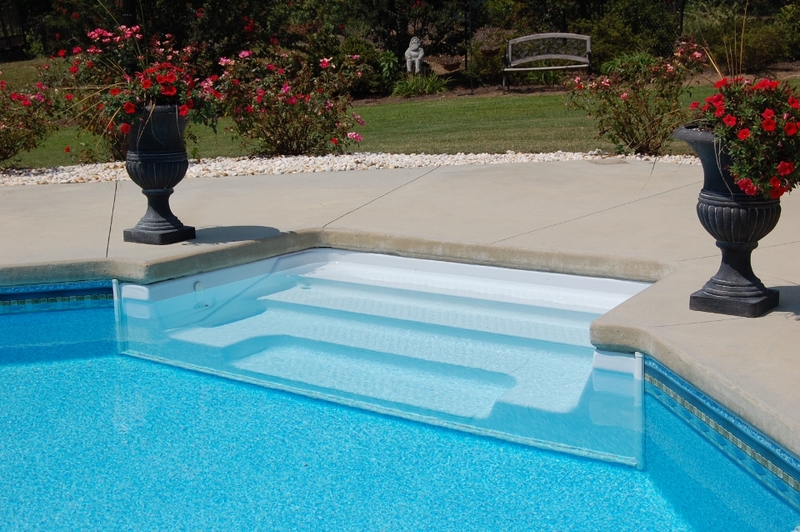 A step designed as an alternative to the traditional ladder, with consideration given to easier exit and entry into a pool. 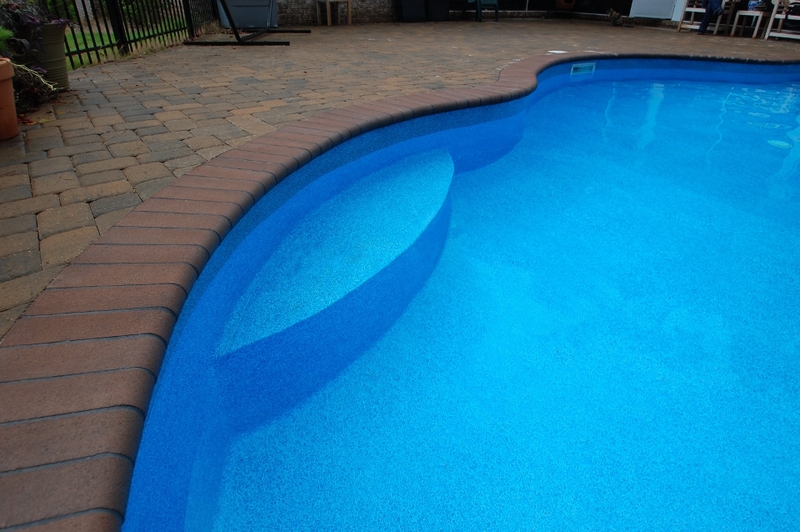 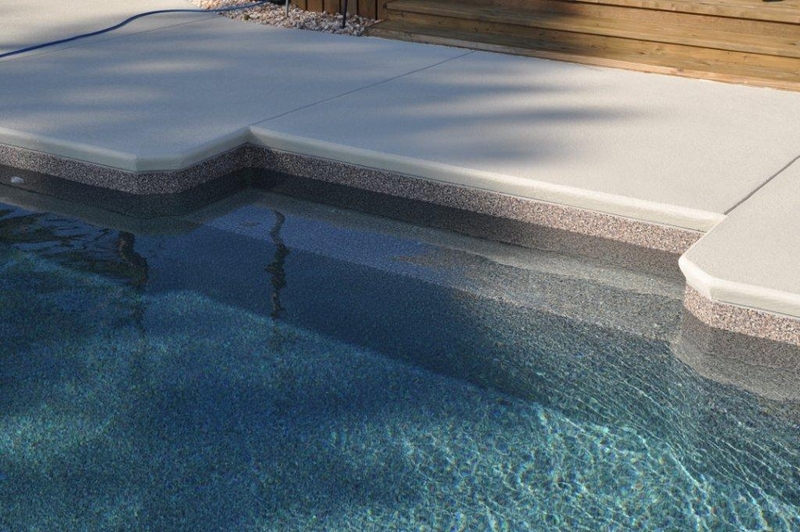 The contour step enhances the profile of the pool while limiting the amount of additional space needed to implement a design. 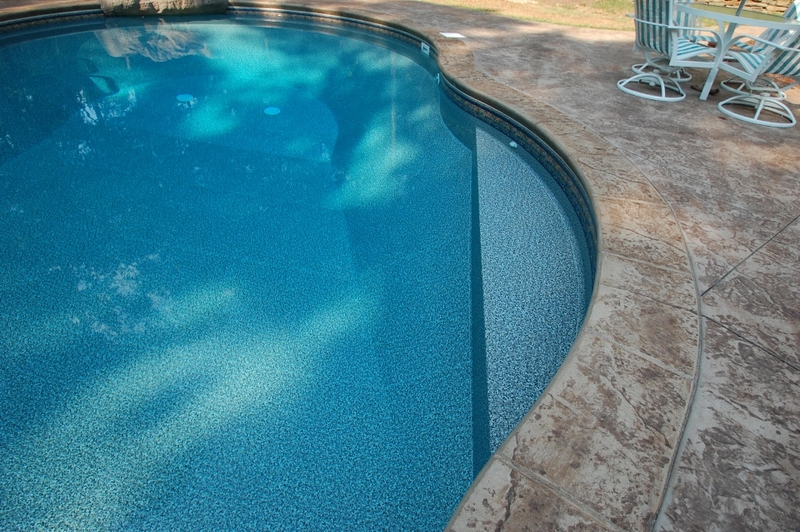 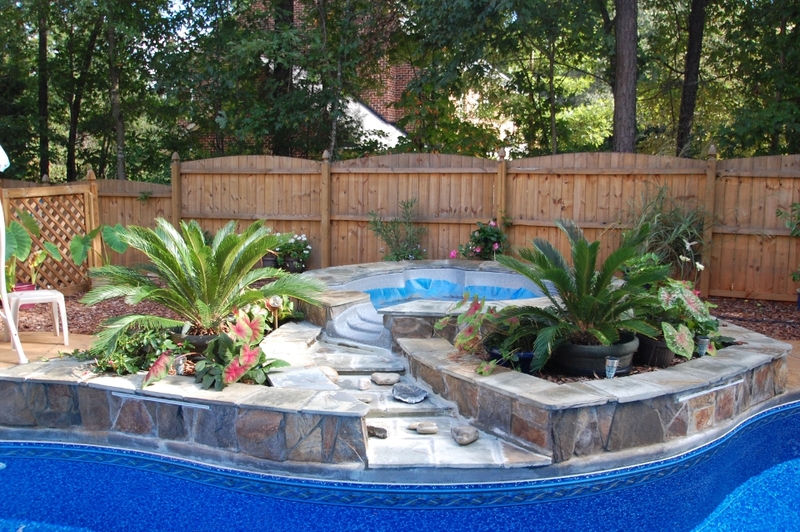 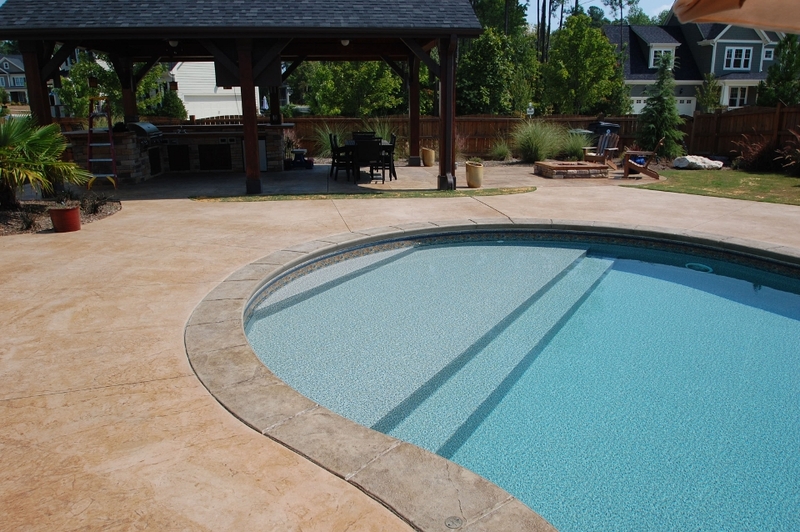 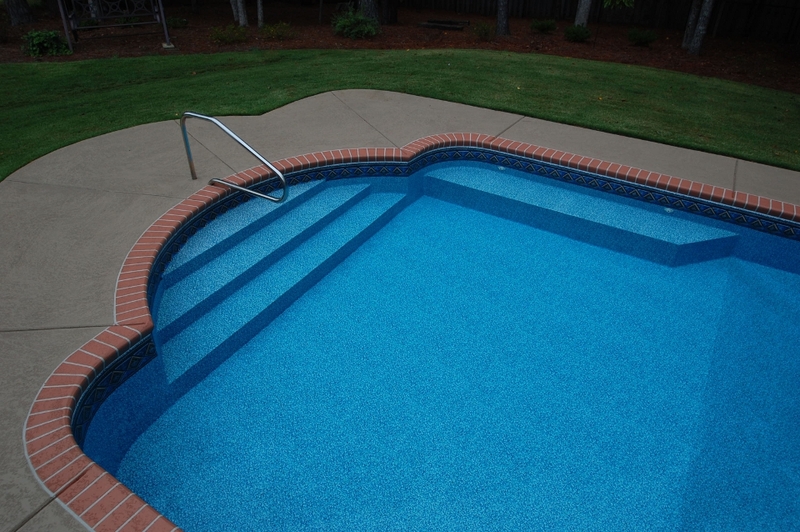 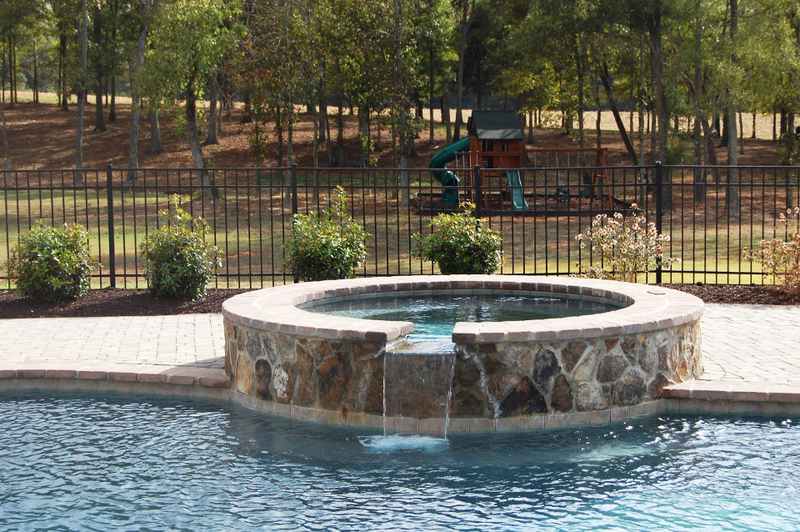 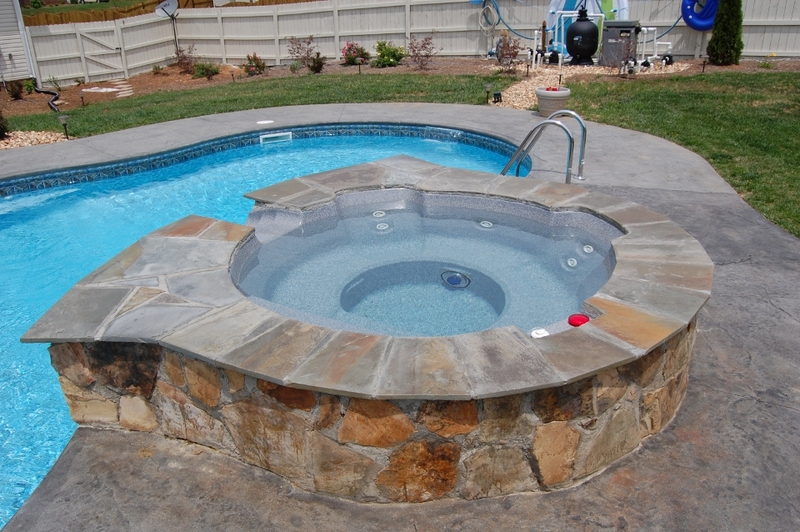 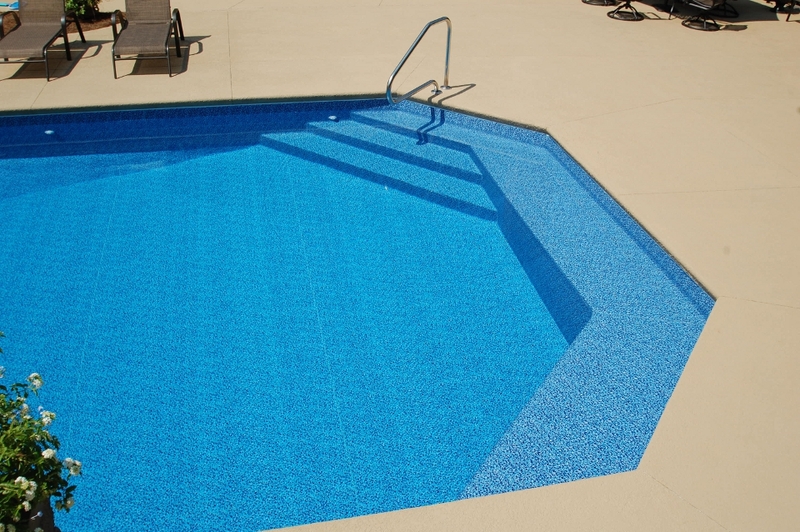 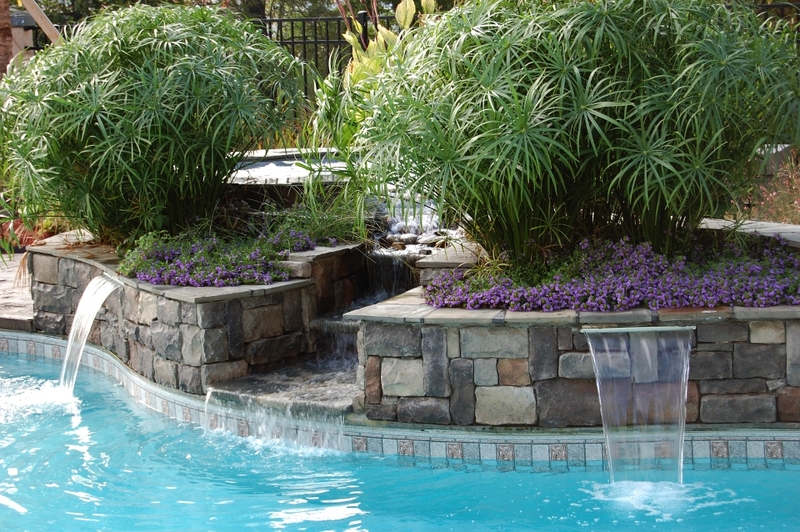 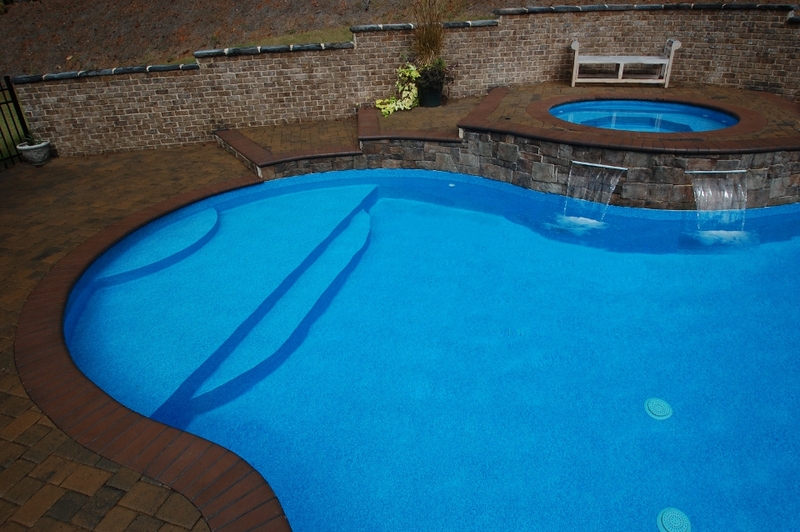 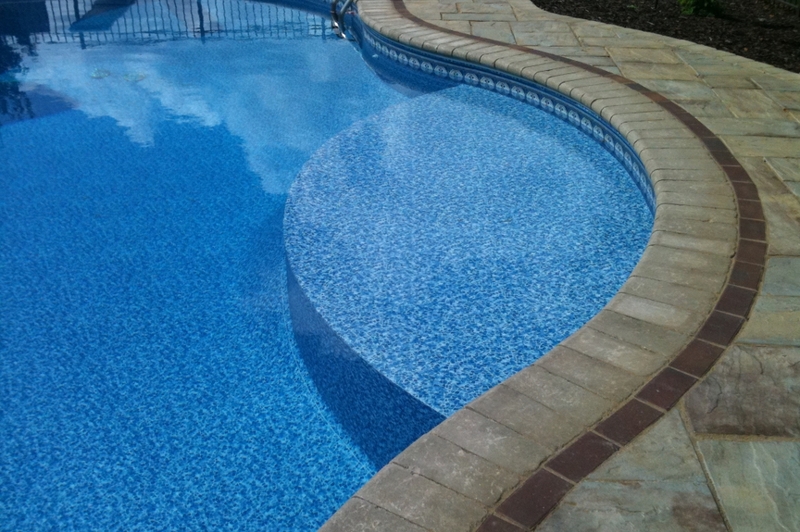 For a step option that blends nicely into the landscape of your pool, consider an inside radius step. 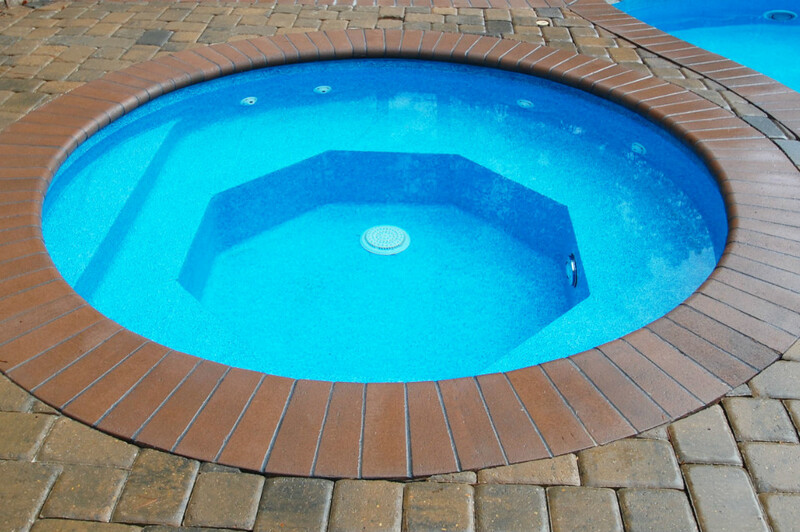 With a steel step inside your pool, you can maintain the perimeter while creating a continuous design that emphasizes the overall shape. 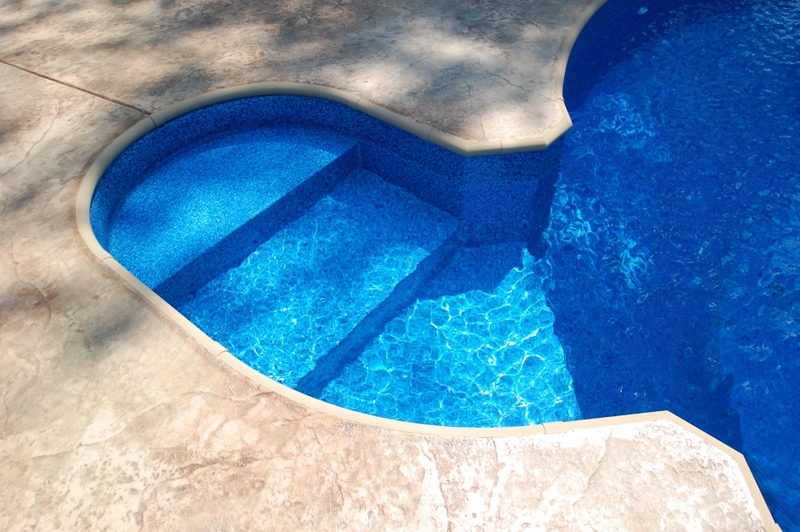 The design elements of the wedding cake steel step enhance the beauty of your already stunning swimming pool. 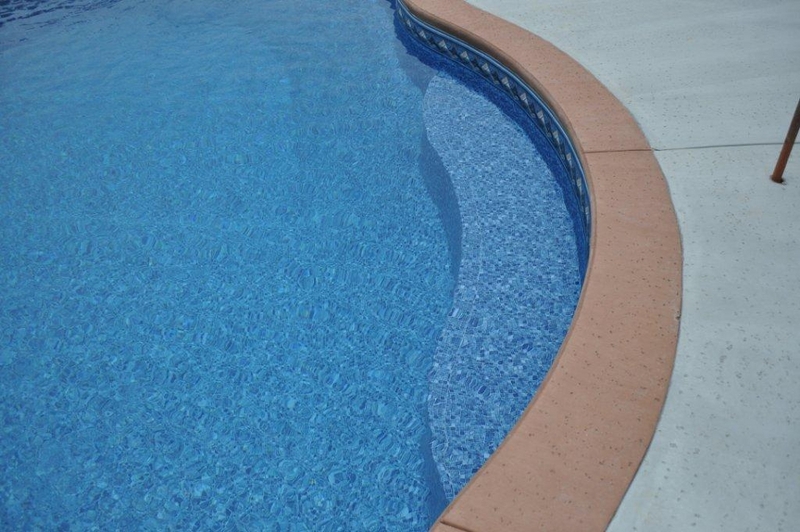 The soft curves of a wedding cake style step offers the same benefits of an inside radius step while opening up the design option capabilities.